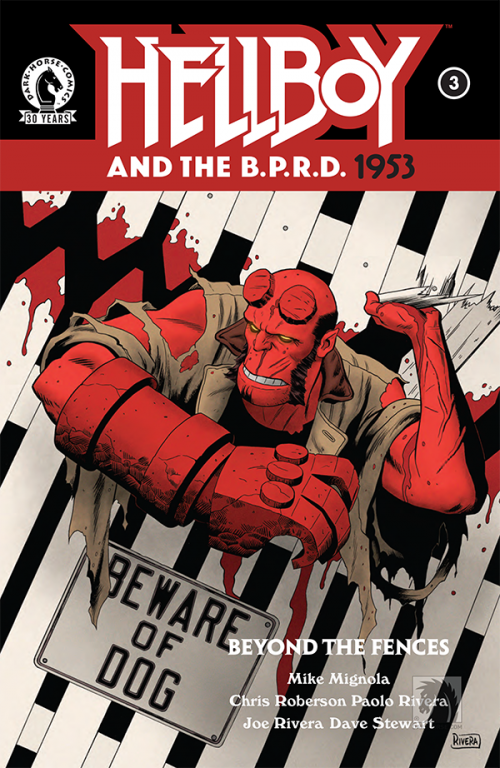 Here is the cover art for Hellboy And The B.P.R.D. : 1953—Beyond The Fences #3 comic book, which will be available in the stores April 27. Beyond the Fences is a three-issue story written by Mike Mignola and Chris Roberson, illustrated by Paolo and Joe Rivera. It is one of several stories making up Hellboy and the B.P.R.D. : 1953 series.